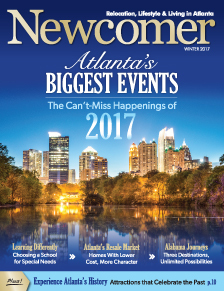 Read the digital edition of Newcomer online! 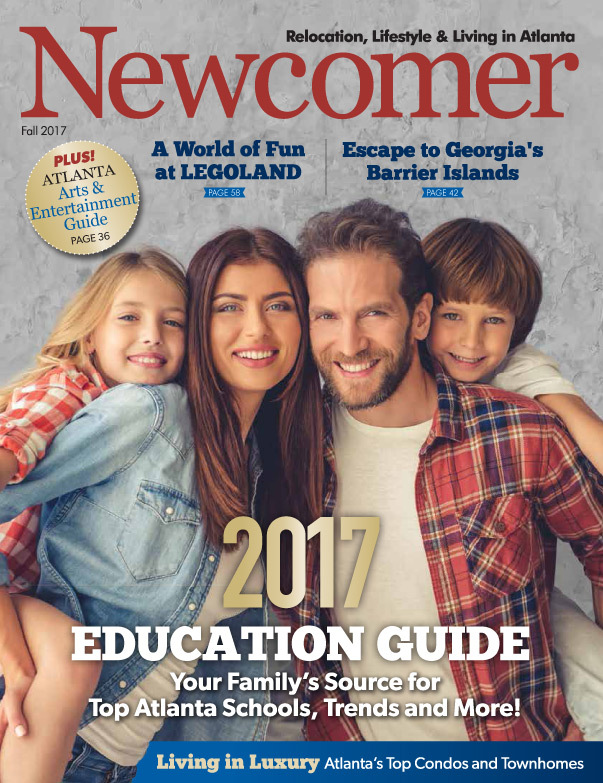 Our annual look at Atlanta education includes what to ask when interviewing schools, the Common Core standards in Georgia and more. The passing of Labor Day doesn’t mean the end of summer. 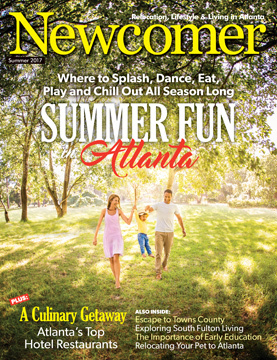 Make the season last with a fall getaway to Georgia’s barrier islands..
Water parks, concerts, festivals—Atlanta has it all. Start planning your summer fun now with our handy guide. Planes, trains and automobiles: South Fulton County is on the move. See why this region is one of metro Atlanta's fastest-growing areas. Knowing what to look for in an early education program can make a big difference in your child's prospects for the future. Here's what you need to be aware of. Innovative cuisine, stylish ambience and trendy locations. Atlanta's best hotel restaurants provide a complete dining experience. 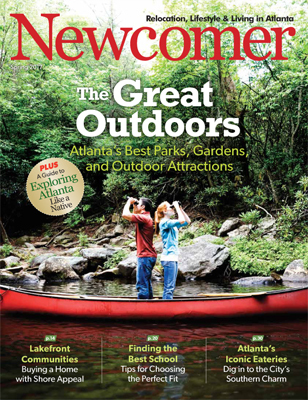 Atlanta’s outdoor attractions are perfect for enjoying some fresh air while exploring the city. We highlight 10 of the most popular spots. We may be a landlocked city, but you can enjoy the best of waterfront living at Atlanta’s beautiful lake communities. Choosing the right school for your child is crucial. Here’s a step-by-step guide to finding just the right fit. Whether your taste runs to filet mignon, Southern comfort food or chili dogs, Atlanta’s best-known restaurants are sure to please your palate. From cultural celebrations to sports to neighborhood festivals (and more! ), 2017 will truly offer something for everyone. In a tight housing market, resale homes make up much of the inventory—and can be an attractive choice. Transitioning to a new school can be difficult, especially if a child has special needs. Choosing the right school is crucial. Three cities in Alabama—Huntsville, Birmingham and Montgomery—offer rich experiences for visitors, and each is only a few hours away.